On behalf of the staff and students of St. Bernadette’s School, we would like to wish all our families a very happy and blessed Thanksgiving. Our community is very thankful for the tremendous warmth and involvement we see from our community. A wise person once said “It takes a village to raise a child”. Your commitment to our school and your child’s education allows the teachers to work in unison with you to deliver the best possible learning experience for your child. We are very thankful for your participation in our many events – from fundraising, to supervision, to coaching, to classroom helpers and reps, to driving, to cleaning, to maintenance…. and the list goes on! 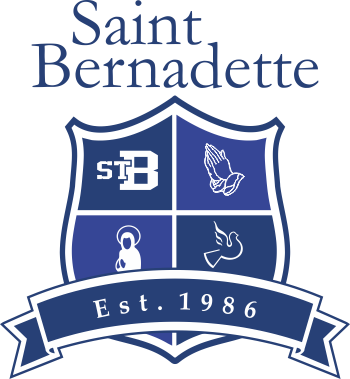 We are blessed and grateful for the community that is St. Bernadette’s. Dear Father, in Your infinite generosity, please grant us continued graces and blessings throughout the coming year. WHICH SHOULD BE GIVEN FREELY!! !